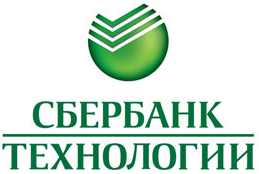 Founded in 2011, Sberbank Technology is an IT subsidiary of Sberbank of Russia. Today the company operates in 16 regions of Russia with a headcount of 11,000. We develop technology-driven solutions and products for our sole client, the Sberbank Group, to make its customer service more accessible, secure, and convenient. We are aware that people are at the core of all innovations and high technologies, which is why it is paramount to us that our employees develop and realize their potential. We offer a wide range of opportunities to IT specialists of any age and specialization. Our partners are the Skolkovo Innovation Center and Innopolis, the high-tech city. We also cooperate with universities all over Russia and are developing our own department of Banking Information Technologies at MIPT (Moscow Institute of Physics and Technology). We develop original training courses on Java, mobile application development, BPM, and many more. We train and develop our employees at meetups, hackathons, and internal training programs. SberTech operates out of offices in modern business centers convenient for commuting employees. It is important for us to keep our team energetic. Our company offers its employees corporate health insurance, an in-house doctor, regular athletic events, fitness programs, and more. Hitting a career ceiling is not an option at SberTech! The company guarantees professional growth opportunities for many years ahead. In addition, your development is accelerated by daily interaction with top-notch specialists. Sberbank Corporate University has been recognized as the best in Europe. Our state-of-the-art courses will help you become a cross between Master Yoda and the Hulk! SberTech has many partners in a range of industries: from shops and cafés to theaters and travel agencies. All of them offer considerable discounts to our employees.